The militants, now led by the Islamic State group, say they are punishing the Christians for their support of President Abdel-Fattah el-Sissi who, as defense minister, led the military's overthrow of an Islamist president whose one year in office proved divisive. 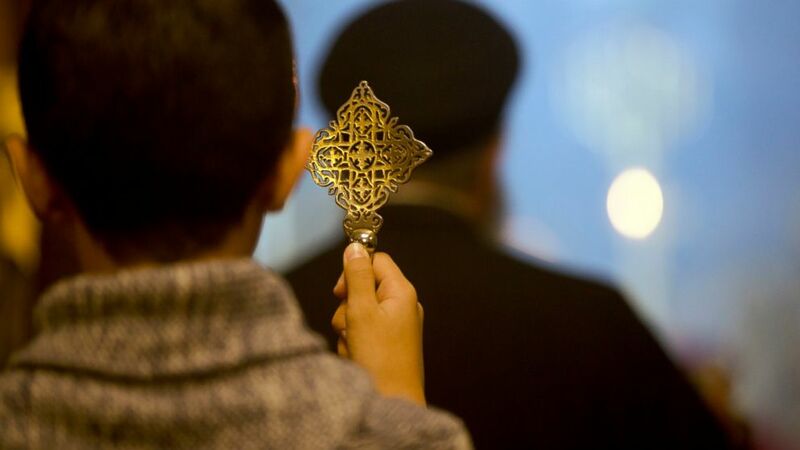 The spiritual leader of Egypt's Coptic Orthodox Christians, whose ancient church is the country's predominant Christian denomination, is a close ally of el-Sissi, who has made sectarian harmony a cornerstone of his domestic policy. His patronage of the community has given Christians a measure of protection but did little to protect them from Islamic radicals, particularly in regions south of Cairo where Christians are a sizable minority.